Here is Dave’s take on everything from possible nutrition strategies to where to eat on the course, along with a rundown of exactly what he stows in his pocket on race day. I get asked many things about the Leadville Trail 100, but questions about race-day nutrition outnumber everything else. My number one answer is this: Success starts and finishes with time put in on the bicycle — no nutrition plan is going to compensate for a lack of quality preparation on the bike. A rider who trains well, but whose race-day nutrition consists of root beer, powdered sugar donuts and Starbursts, will probably have a much better finish than someone who lacks that quality training but has a perfectly measured caloric intake of various high-tech substances concocted by the latest sports nutrition guru. Just like those old Leadville T-shirts used to say, “There are no shortcuts.” So while race-day nutrition is important and cannot be overlooked, it’s going to be different for everyone and there is no single path to success. I do not have endorsements with any nutrition company and don’t generally use a lot of sports nutrition products. I train mainly on water and try not to take on any food while training for two primary reasons. Second, as I have gotten older I have become more aware of my dental health. 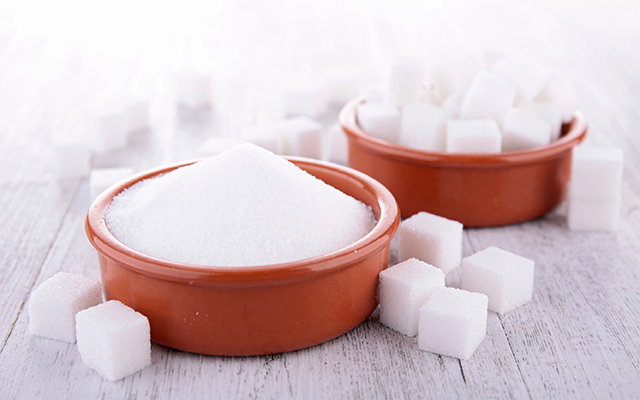 I don’t like bathing my teeth in sugar as I ride my bike. You can almost feel your teeth dissolving right out of your head between the sweet drink, the gels, the chews and the bars. I’ll brush and floss before every ride and then try to keep my teeth clean by not blowing up and having to eat my PowerBar. However, when it comes to long races like the LT100, I always race with product, including energy drink and gels. But hours before you get out on the course and need your first gel or drink, your race-day nutrition will begin with breakfast. I’m an advocate of eating a good breakfast at least two hours before the start. Yes, this requires getting up early! For me, breakfast is heavier on simpler items such as pancakes and bagels. I’ll always have a banana and that cup of good coffee. Some orange juice, too, and even some pasta. Most of the Italian racers I’ve met over the years eat pasta for breakfast on race day. An egg or two, plain or in pancakes or French toast, is good too. One thing that I have never eaten for my race-day breakfast is any kind of meat. I’m not saying don’t do it, just that I never have. 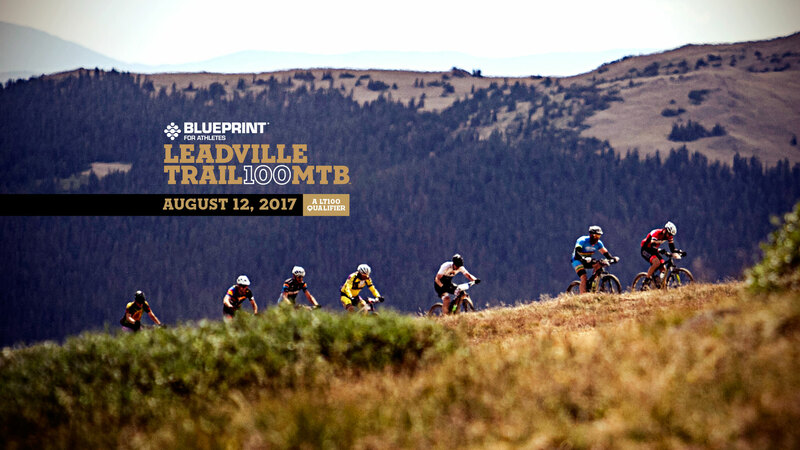 I recently sat in on a clinic by a nutrition company and its representatives told us that all the fuel one needs for the entire Leadville Trail 100 mountain bike race would be present in a single sports drink. Some riders would be successful following this nutrition plan. But just as many would also be successful eating peanut-butter-and-jelly and drinking water or Gatorade. The point is that it’s important to know what works for you. Based on that, you should make a strategy and implement it. Experiment during training: This is the best way to figure out what to eat and how much to eat during the. 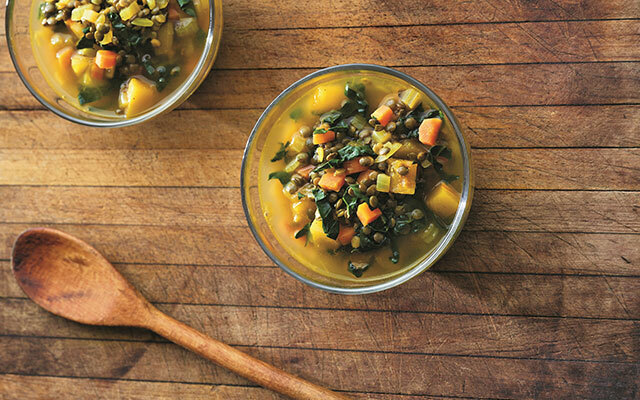 Try out your nutrition in training well in advance of race day. When to eat/drink and how much: A steady stream of nutrition is considered to be best. The old moniker, “drink before you’re thirsty; eat before you’re hungry” is applicable. 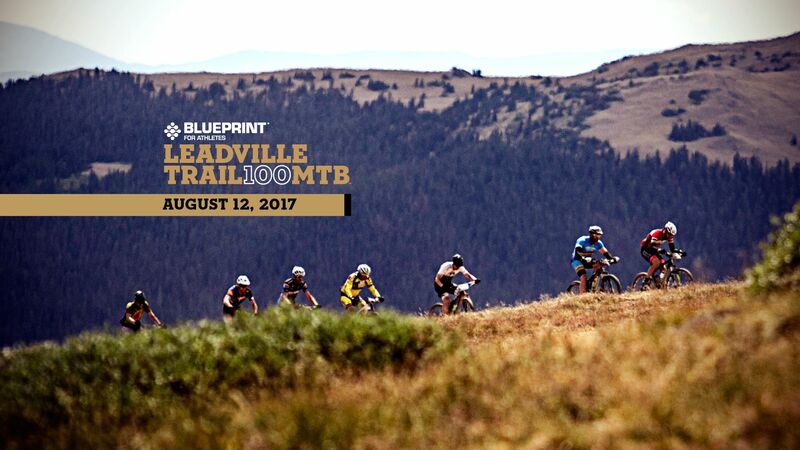 As mentioned above, the opportunities for taking in nutrition during the LT100 are limited. Know them and use them – but be careful not to overdo it. Many a bad stomach and bad race have been caused by drinking or eating too much. Of course, the flipside to this is not getting enough fuel and blowing to the moon. That’s why it’s important to hone this strategy during training. It may work for you to plan to take in a certain number of calories per hour, or you may be more like me and eat according to feel, rather than by the numbers. Let’s talk about three possible strategies for getting nutrition on race-day. The simplest strategy of all is fueling from the aid-station offerings laid out by the Leadville Trail 100 crew. The 2013 spread will consist of Herbalife and GU products (sports drinks, gels, chews and bars), Coca-Cola products, fruit (such as bananas, oranges and watermelon), cookies, potato chips, mini candy bars, pretzels, crackers, PB&J and more. You can also fill your bottles and pockets to take calories with you. There will also be an express aid station located at Carter Summit on Turquoise Lake (at about mile 11 and mile 89). This location will not be a drop bag point but is crew accessible. This strategy doesn’t require a crew but is good for riders who want specific nutrition at one or more of the aid stations. You’ll prepare one or more drop bags and give them to the race organizers, who will transport your bags to the aid stations on race day. When you arrive at an aid station you will need to find your drop bag, resupply from it, and get back on course. The main drawback to this strategy is simply the time you’ll need to find your bag among hundreds. The volunteers do a fantastic job of organizing them but there’s still a bit of chaos. Organizing and packing your drop bags will also take more time than you think, so prepare accordingly. The next level is having a crew (or multiple crews) on course to give you what you’ll need. Note that one crew cannot be everywhere. It’s really difficult to get from the Pipeline aid station to the Twin Lakes aid station. My top shelf crew (my wife, Susan) was always able to get from Twin Lakes back to Pipeline inbound, but she was usually still running up to it as I was coming in. The traffic and flow of just the crews and spectators makes crewing its own complicated challenge. Having multiple crews that stay put is ideal, and you can team up with other riders you know to pull this off. Keep in mind that you can employ all three strategies. You can put together any combination of crew, drop bag(s) and/or aid stations. Unfortunately, this course doesn’t make fueling easy. It can be very difficult to both ride your bike and eat and drink in this race. Many Leadville competitors have simply forgotten about nutrition because they are so focused on riding the course. This, of course, is a big mistake. It’s helpful to know the locations where you can safely and effectively grab your bottle or eat a gel, bar or sandwich. Don’t miss these opportunities. The pavement around the back of Turquoise Lake and the pavement between the bottom of Powerline and Pipeline are both great opportunities to eat and drink. The gravel road sections on either side of the Twin Lakes aid station work well, too. Going up Lower Columbine is a much easier place to eat and drink than the steep and more technical upper sections of this climb. The more challenging places to take in nutrition include most of the Powerline and Sugarloaf areas, as well as much of St. Kevins. Obviously, if you are descending off-road, other than grabbing your hydration pack tube, trying to get to your nutrition and consume it isn’t safe and is not a good idea. My nutrition at Leadville consists of sports drink, gels, a peanut-butter-and-jelly bagel and a can of Starbucks Doubleshot. All of my bottles are mixed up exactly the same. I usually have three or four gels in my pocket to start and will resupply at each aid station. I won’t always use them all. I won’t take any caffeinated gels until Pipeline inbound. I always have a PowerBar in my pocket for an emergency but have never had to eat one during the race. Between the start and Twin Lakes outbound (I’ll skip Pipeline outbound): I’ll have two full bottles of sports drink (I’ve used a few different brands from Gatorade spiked with pure maltodextrin, to PowerBar beverages to GU Brew and Roctane. In a pinch, I feel confident that I could use just about anything.) I won’t usually finish both bottles. I’ll eat two to four gels. Climbing up Columbine and back to Twin Lakes: One bottle of sports drink and I won’t finish it. I’ll eat one to three gels. Twin Lakes to Pipeline: I’ll take on one bottle, some more gels and the peanut-butter-and-jelly bagel. My primary goal is to choke down the bagel before Pipeline and I’m always able to do this. I may or may not get to any of the gels. I’ll drink some but usually can’t finish the bottle. Twin Lakes to the finish: This probably makes no nutritional sense but I’ll carry a can of Starbucks Doubleshot over the Powerline climb as a reward and hopefully for a jolt as I dropped down Hagerman Pass toward the tarmac of Turquoise Lake. I’ll also get two bottles of sport drink and resupply my gels. If possible, I’ll try to put down another gel or two, continue to drink from my bottles and continue plodding on toward the finish. NOTE: I drink less than most and while I’ll usually get well resupplied with liquid in the aid stations, I can tell if I’m not going to be drinking all that I have and I will jettison some of the sport drink to avoid carrying it up with climbs. So regardless of whether you want to nerd out on total nutrition science, or be more like me and Christoph and try not to over-brain it, experiment during training, decide what you’re going to do and work out the details of how you’ll implement your strategy on race day. But don’t forget about riding your bike!